By default, most search engines will show no more than ten pages of results at a time. But it’s the first page of search engine results pages (SERPs) that matters the most; mainly because the majority of searchers don’t go beyond this point. In order to show up prominently on SERPs, it’s just as critical to pay attention to all of the elements of SEO that matter to both searchers and search engines. SEO helps websites by driving traffic to various webpages from outside sources. These sources may include other websites, blogs, social media pages, and links from organic or paid search results. It’s also SEO that helps your website’s content stand out from what’s offered by competitors targeting the same exact searchers. Because website traffic generated by optimization efforts is highly trackable, SEO that’s done right also has the potential to offer an excellent return on your investment, even more so than traditional forms of marketing like TV, print ads, and radio. Once you’ve gained ground on SERPs with some help from the 445 Media team, your work with search engine optimization isn’t done. SEO is an ongoing process that includes producing fresh, relevant content and keeping your target audience in mind. 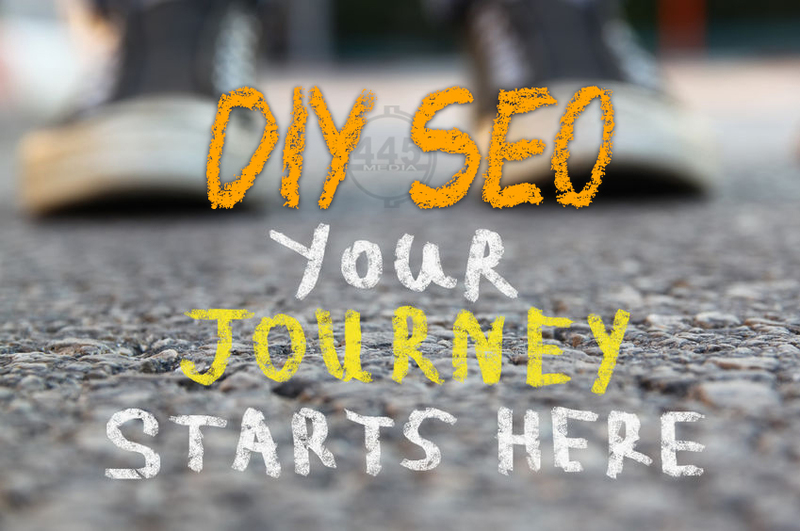 There are also some nuts and bolts and basics of SEO you’ll want to keep in mind. 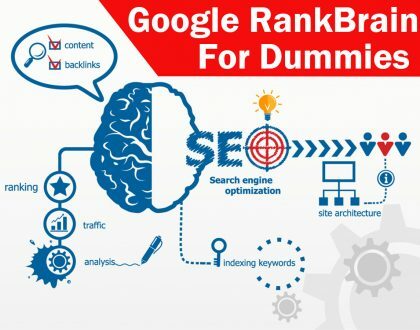 Read on to get a better understanding of what SEO is all about and how to use it to your advantage to increase your brand’s visibility, engagement, and profitability. Every online search, whether it’s done from a PC, smartphone, or tablet, starts with words that are typed or spoken (with voice search assistance). Keyword research is an SEO practice that involves doing research to determine what search terms people are using to find products or services similar to what you are offering. It’s this research that will help you determine what keywords to incorporate into the copy for your various campaigns as well as the content that’s on your website. Keyword research isn’t just about using certain words or phrases. It’s about finding patterns and interpreting how people are searching for what you have to offer. While keywords aren’t everything when it comes to SEO, they are certainly a big part of content marketing as a whole. By figuring out people are using search engines, you’ll be able to drive traffic to your site that’s more likely to turn into conversions. You can also do a competition analysis for the purpose of seeing what keywords your competitors are using. The resulting info can be used to determine if you’re missing out on some keyword opportunities with your desired audience. It’s also a good idea to do this type of analysis if you’re not exactly sure who your top competitors are online since this info can come in handy with other aspects of your SEO strategy. Like any SEO-related task, keyword research isn’t something you do once and forget about. It’s an ongoing process that involves tracking results and making adjustments based on how search trends and patterns change over time. The 445 Media has the resources and expertise required to help busy business owners make wise, well-informed choices with keywords. Unless you have a single-page website, visitors are going to be coming to your site on different pages. This is why your SEO efforts also need to include on-page optimization of the content that’s on the various pages of your website. 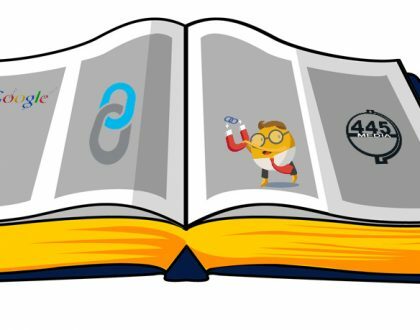 The following tactics and techniques are what we recommend at 445 Media for effective on-page optimization of content. The purpose of the six heading tags is to clearly separate headings from the rest of your content at various points to break up your text. The most important heading tag is the H1 tag, which is usually used for the main title for your content. Many pages use H1s for the main title and H2s for any subheads that follow. To make your heading tags SEO-worthy, included at least one relevant keyword with each header. Search engines aren’t capable of scanning images. The solution is to use alt tags on images so website crawlers can get an idea of what an image is and how it relates to your content. Draw attention to the important keywords within your content with the appropriate use of italics or bolding. The key word here is “appropriate.” There’s no need to highlight every single keyword or keyword phrase. Instead, spread any highlighting you do evenly throughout your content. This doesn’t help search engines all that much. But it can give readers a quick idea of what your content is about when first arriving on a page since the eye naturally gravitates toward highlighted text. Links are an essential part of SEO because they give your content authority. Give your website’s page an SEO boost by including links to reliable sites that accentuate your content. Focus on reputable link source like Wikipedia or respected industry-specific sites like WebMD. Links to .org and .gov sites can also add credibility to your content if you can relate it to sites of this nature. If you have multiple landing pages, each one should be optimized based on the content that’s on each page. After all content has been optimized, tap into your available stats from Google Analytics to see how each of your pages is performing. Organic and paid traffic sources can be tracked in details that include everything from how much time visitors are spending on a pa+ge to what actions your content is inspiring. The role of meta tags in SEO is to provide structured metadata about various webpages. There are several different meta tags, although it’s the description and keyword tags that get the most attention. Another important, and sometimes overlooked, SEO element is the URL for your website’s pages. Properly optimizing tags and URLs will increase the odds of getting your content seen by the intended audience. Meta content type: Declares the character set for a page. Omitted this tag could affect how your page renders in a browser. Title: It’s this tag that gives a quick announcement of what a page is about. Meta description: This is the tag that goes into a little more detail to describe a page’s content, hopefully enough to convince a searcher to click the link attached to it. Viewport: Before mobile was a big thing, this tag usually remained static. But with people using different size screens today, it’s now relevant because it specifies the user’s visible area of a page. For starters, the keyword tag isn’t all that important anyone because it’s way too easy to stuff every keyword imaginable into these tags — and Google is well aware of this, so they don’t really pay too much attention to these tags anymore. Instead of opting for the “refresh” tag, just do a 301 redirect. “Site verification” is sometimes needed to get other forms of site verification to load, but it’s not universally necessary. If you make any changes to the content of any of your webpages, adjust your meta tags so they’re still relevant. Do the same thing with your URLs, especially if the content of a page changes significantly from what the URL suggests is on it. The user experience is a big thing when it comes to SEO today. In a nutshell, it means you want to do everything possible to create a pleasant experience for anyone visiting your website. One of the aspects of your website’s design you should focus on is your internal navigation. This is where internal links come into play. If you’re going to include internal links on your homepage, start by determining what specific pages are related to the page’s content. For instance, your homepage might give a brief overview of what your company does. So, you could use internal links to direct searchers to the pages to give more details about any products or services you briefly mention on your homepage. Do you have a blog that’s part of your website? What about a page with videos or comments from customers? It’s pages like these that can serve as effective internal links since they provide an added incentive for visitors to get to know more about your business. With your website’s blog, pick and choose the posts that are most relevant. Some sites opt to use internal links to direct attention to their more recent posts. After you’ve determined which links have the most value within your site, the next step is to use the right text for your links, referred to as anchor text — the clickable link visitors see. Just be careful not to over-optimize your site with too much anchor text. Google could consider this keyword stuffing. Finally, make sure the text around your anchor text actually makes sense. In other words, don’t resort to awkward phrasing just to use anchor text for one of your keywords that doesn’t maintain the flow of your content. Either alter the keyword or pick another keyword or phrase that won’t abruptly stop the flow of the content. 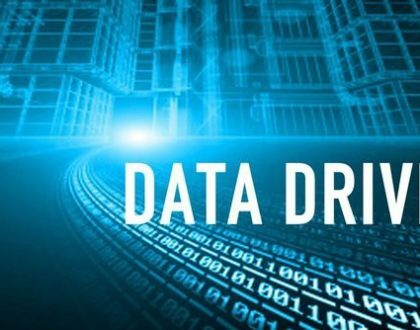 Any problem with your website’s code can have a big impact on well your site functions. If your site isn’t providing a good user experience because of code errors, it’s going to affect just about everything you do online. For instance, a site with code errors could prevent your paid ads from generating conversions if it can’t be accessed on certain devices. An easy way to validate your website’s code is to go to W3C Org, the website for the World Wide Web Consortium. W3C is an international community that helps to develop Web standards. Many designers and developers use standards like those recommended by W3C to maintain consistency. How Is a Site Validated? Validation checks ensure that your site complies with the standards accepted by most Web designers. W3C Org’s Markup Validation Service will check markup validity. However, there are additional tools available to look for things like broken links, RSS feeds, and whether or not your site is good to go for mobile. If you’re seeing issue with your site’s code, the 445 Media team can help you fix errors or inconsistencies to avoid visibility and accessibility issues. SEO today isn’t just about selling. Sure, you want your website to be a source of leads, conversions, and revenue. But it’s just as important to take steps to establish yourself as an authority in your field through your content. After all, there are hundreds of businesses out there going after the same consumers. And establishing yourself as an authority is one way to make your brand stand out from the crowd in a good way. It’s efforts like this that create trust and build relationships that go beyond just making a purchase. In fact, the majority of consumers are more likely to stick with brands they view as reliable and trustworthy. Here’s a closer look at the specific types of content that can help you become more of an authority. People love to learn how to do things. This is why tutorials can be an excellent way to highlight your knowledge of your niche or industry. Mix up the topics covered in your tutorials to include more than just product demonstrations. For instance, if you’re a contractor, you may do a tutorial on what to include in a household toolbox. Tutorials can be in text form with accompanying images next to each step or as videos. If you do use video, consider including a transcript with it that you can optimize to attract more attention online. Limiting use of technical jargon: Unless your audience is limited to other people within your industry, assume that readers aren’t going to be up on more technical terminology. Creating a compelling story: Create a narrative within your case study that includes the five W’s plus the H — Who’s the client, what were their problems and solution, where was the solution implemented, why did you choose the recommendations or solutions for that particular client or customer, when were results seen, and how did your solution or advice help the client/customer. Highlighting your work methods: Case studies are a good way to illustrate how you normally approach client problems with specific examples of how you do so. Having different case studies for different purposes: Keep the audience in mind when using any case studies in your content to make sure what’s in your study is relevant to who will likely be reading it. If, for instance, you have services that are both B2B and B2C in nature, you would likely benefit from using different case studies for each consumer group. Another way to boost your authority is to reach out to online influencers already viewed as a trusted source by searchers. These are people within your niche who already have a large group of loyal followers. It will take some effort to build relationships with influencers. But it can be an effective way to expose your content to a larger audience and establish more credibility for your brand. Social media is a highly interactive type of engagement. It’s also where most customers go today to connect with their favorite brands. But it’s not enough to just have a social media account set up. You also don’t want to solely concentrate your efforts on acquiring “likes” and accumulating followers. For SEO purposes, social media is more effective when you take steps to build a social presence that’s focused on mutually beneficial interactions, brand awareness, and the distribution of meaningful, engaging content. Facebook will expose your brand to the biggest audience since it’s the most used social network in the world. But this doesn’t mean it will automatically be the best platform for your business. Dive into your research to figure out which social sites your “buyer personas” (fictionalized versions of your typical customers) typically gravitate towards. Facebook: Nearly 80 percent of all Internet users turn to Facebook. But the fastest growing demographic on this network isn’t millennials, it’s their parents. If your target audience skews young, you may want to explore the possibilities with Snapchat and Instagram. Twitter: If you need to quickly entice followers with announcements of upcoming specials or exclusive coupon codes, or you want to tap into current trends related to your brand, this is the social network for you. It’s also a platform that supports 40 languages and has more than 70 percent of its users outside of the United States, making it a good choice for businesses wanting to maintain a global presence. YouTube: More than 3 billion searches are performed on YouTube each month, making it the second-largest search engine. If your content includes things like product videos, tutorials, customer testimonials, and behind-the-scenes videos or location footage, this is a channel that will likely serve your brand well. LinkedIn: Is your target audience other businesses? If so, then opting for LinkedIn is a no-brainer. It is, by far, the most professional of the social platforms. Plus, it’s already used by roughly 80 percent of marketers for professional purposes. Pinterest and Instagram: If your business is highly visual, platforms like this can be an effective way to highlight everything from your products to locations relevant to your brand and customer-submitted images (a great way to acquire more content). Finally, maintain your social presence by keeping your accounts active. Develop a posting schedule that makes sense based on the way your followers normally interact with you socially. The general recommendation is to aim for, at a minimum, 2-3 new posts per week. If you have a brand where there’s a lot of social media interaction, however, you may need to post or re-post content daily. Taking cues from your comments can also give you an idea of what your followers expect from you. Whatever happens to be best for business, remain consistent with your messaging and posting frequency to encourage ongoing engagement. Also, have a policy in place for responding to comments, including ones that aren’t so flattering to your business, to avoid reputation issues. Networking tends to get a bad rap when you think of what it traditionally meant in the world of business — going to places where other people within your industry were gathering to hand out lots of business cards. Of course, the online version of networking can also have its pitfalls, especially if you get into the habit of adding everyone you know or meet to your email list and inundating social media feeds with sales pitches. But there are ways to effectively use networking to grow your brand. Start by establishing a presence by being actively involved with peer site conversations. You want to give other influential contacts and businesses within your industry or niche reasons to seek mutually beneficial relationships with you. Do this by sharing your own insights and even inspiring conversations with relevant and engaging topics. You also want to be genuinely curious about your peers, so jump into existing conversations and become a valuable contributor. One of the fundamental things when it comes to content is the fact that there’s always room for improvement. Peer sites are a perfect place to get honest feedback about your content. Use the feedback you get to make adjustments where it’s appropriate to do so. Be just as willing to offer content feedback in return. There’s no better way to get your foot in the door by sharing your insights via guest blog posts on peer sites. Just keep the focus on offering useful information instead of primarily talking about your business and what you have to offer. Sure, you can naturally work some of this stuff into your posts if it’s relevant to the topic of a post, put the emphasis should be on offering something of value. This is true with any guest blogging you do on any site. You can also do versions of networking and link outreach via social media. There are many peer-to-peer communities and industry-specific pages where you can get active and make connections. With social outreach for link building, apply the same rules with email and offer something of value by joining in conversations and sharing links back to some of your relevant content. With both networking and link outreach, you want to focus on building relationships, which is what will ultimately help grow your brand. What makes SEO is so effective in terms of what it can do for your brand is the ability to tap into a vast amount of data. One of the good things about analytics is the ability to see what matters most to searchers in real time. It’s this data that can be used to work trending topics into your content or promote products you offer that happen to be trending. You can also use Google Trends to pair search terms. For example, you might want to see how well “jacket” and “scarf” are trending to determine if you might get better results by grouping these two products together on your website. With Google Analytics, you can use your own personal data to identify search trends specific to your marketing campaigns. Another option is to combine Google Trends with the Keyword Planner tool to track the level of interest for certain keywords/phrases over a period of time. Some other possibilities with trending topics and products include using trending data for some of your PPC campaigns by working trending terms into your ad text (as long as it’s still relevant). You can also keep an eye out for trending products to see if anything you happen to offer is experiencing a spike in search volume. As long as we’re on the topic of trends, Twitter can give you an idea of what’s trending socially. A handy tool to keep track of Twitter’s search trends is Trendmap, which shows the latest Twitter trends from around the world in real time. Facebook allows you to customize trending topics by eliminating ones not likely to be relevant to your brand or industry. Other popular platforms also have similar ways of categorizing what’s trending. Look for opportunities to work trending social terms from any platforms you use into your own content whenever possible to leverage traffic effectively. It’s equally important to use some common sense when it comes to the trends you work into your content to take advantage of the extra search volume. Avoid trending topics involving things like national tragedies, controversial topics, or anything that may be negative about your industry. Also, make sure the topics you choose are in line with your brand’s image. Just because you’re seeing results in line with what you expected with your SEO efforts doesn’t mean there isn’t room for improvement. By constantly tracking results, keeping tabs on what your competitors are doing, and how your customers are interacting with your brand, you’ll be able to be proactive (making adjustments geared towards getting even better results) rather than reactive (responding to sudden, unexpected problems such as a drop in website traffic or ineffective paid campaigns) with SEO. Whether you’re just getting started with SEO or looking to get better results from what you’re already doing, the 445 Media team is here to help. Contact us today to make effective SEO a contributing factor to your success.